Here is all you need to know for the perfect weekend in Europe’s most exciting destination. 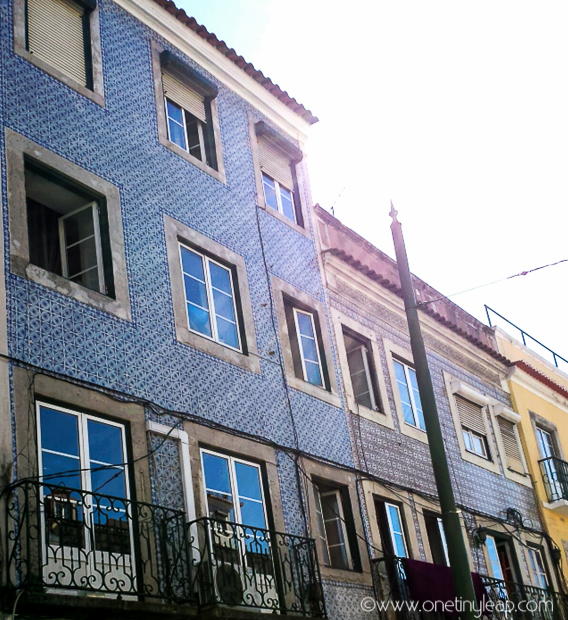 Lisbon is a fascinating city, blessed with almost 1000 years of inspirational, influential and interesting history. This vibrant capital is teeming with stunning rooftop bars, cutting-edge nightspots, and world-famous events. Get ready to explore a vibrant city, with a design-forward and modern-thinking young generation , yet unafraid to draw on their roots. If you’re a foodie Lisbon will delight, with a thriving gourmet scene, that easily combines traditional cuisine with innovation. 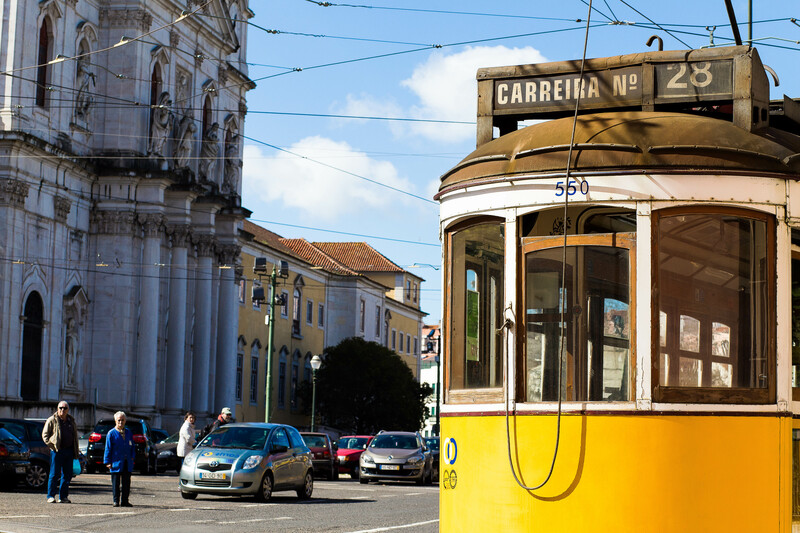 To give you a good idea of what you should be doing on your weekend break in Lisbon, we’ve put together a Lisbon weekend guide, full with all the must-dos, plus a few extra tips if you want to mix it up a little and a quick language guide at the end. 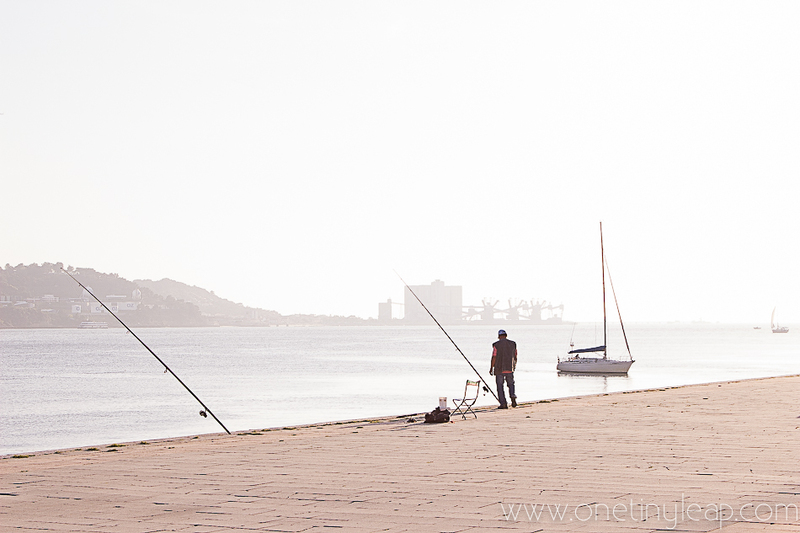 If you’re wondering about the best time to visit Lisbon ahve a look at our handy Lisbon weather guide. 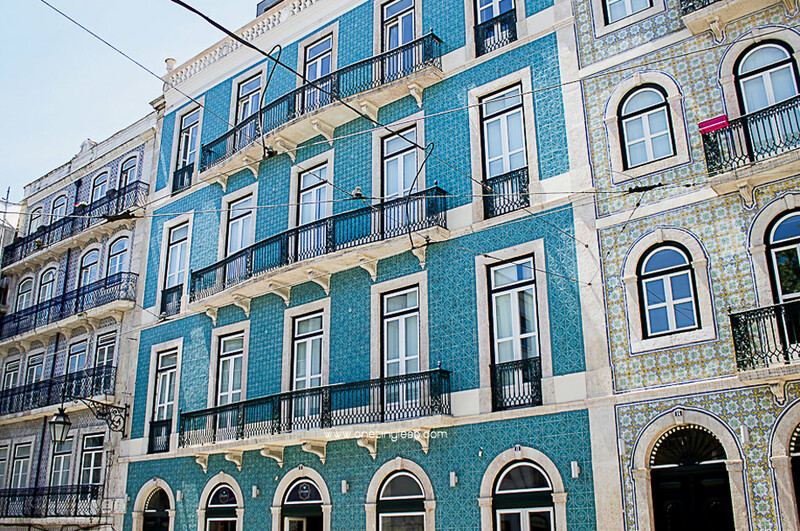 We love the Heritage Avenida da Liberdade, winner of the TripAdvisor best Lisbon hotel of 2017 located in the heart of the city; or if you’d like a more relaxed spot the Pestana Palace Hotel is also a fabulous choice. Rise and shine in the city of light! If you haven’t got breakfast included at your hotel/airbnb/hostel, head outside for one of the best and cheapest breakfasts of your life! Pop into one of many welcoming ‘pastelarias’ (cafés with yum cakes) in every area, for a delicious continental breakfast. Always try and find one that says ‘fabrico próprio’ (freshly baked on-site) and if you’re in doubt of a good café in your area, feel free to drop me an email and I can help! 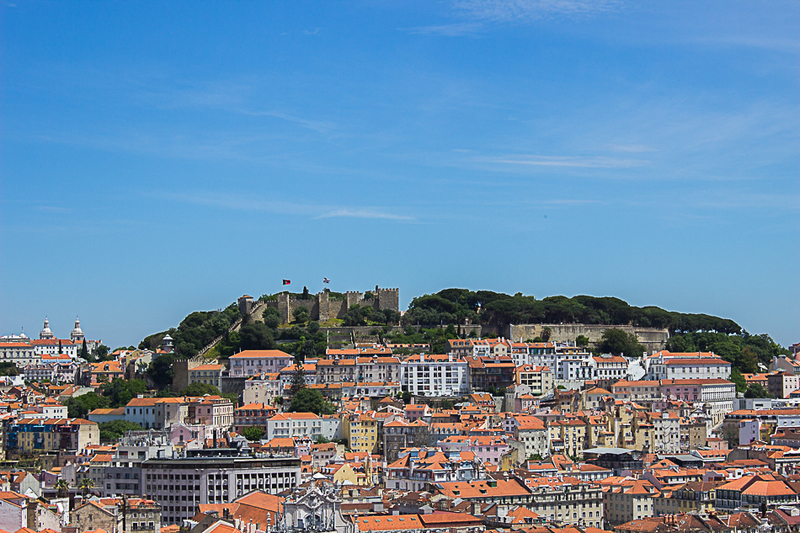 Now that you’re fuelled up to face the Lisbon rush hour ( it lasts until 10:30 here), you should make your way to Alfama and the Castelo de Sao Jorge (St George’s Castle). The best way to tackle the city’s steepest hills is aboard the famous tram 28 from which, depending on where you get on, you can get a fabulous tour of the city for very little money. NOTE: Unfortunately, as this is a major tourist route, there is a pick-pocketing problem on the 28. Always keep your valuables where you can see them, especially when the tram is crowded. Spend the morning getting happily lost in the winding streets of Alfama, exchanging greetings with the locals, getting immersed in the area’s quirky nature, and definitely, exploring the castle. I’d recommend lunch in one of the neighbourhood’s many little backstreet restaurants (they’re touristy but usually pretty good) or as you walk down to the Sé (Cathedral) stop at Miradouro de Santa Luzia and take in the views… What a place, right? After emerging from the labyrinthine streets of Alfama, probably laden down with hand-painted tiles from the souvenir shops, you should walk down via the Cathedral (Sé) towards Baixa, the 18th century traditional commercial area of Lisbon, that was masterfully rebuilt by the Marques de Pombal after the Great Earthquake of 1755. Here you’ll find typical high-street stores, big-name brands, and touristy restaurants, but if you look up and around, you’ll be able to see incredible Pombaline architecture, and spot some real treasures on the backstreets, including the classic Confeitaria Nacional – one of the oldest and arguably the best bakery in Lisbon. As you walk down Rua Augusta, you’ll see the Triumphal Arch leading to Praca do Comércio, the large city square. The arch which used to welcome visitors to the city’s port has recently been re-opened, and it offers a unique view over the Terreiro do Paco and Baixa. If you fancy a walk by the river, then take a turn to the right of Terreiro do Paco towards Ribeira Naus, a recently renovated riverside area, with a beautiful view over the city and a gorgeous esplanada (outside seating area). 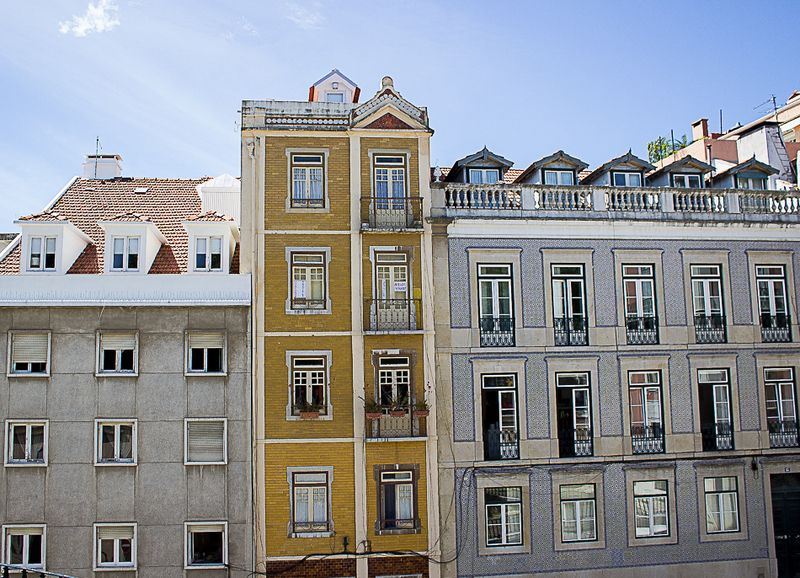 Slowly climb up the Calcada do Carmo, or if you’re feeling lazy take the Elevador da Bica, a gorgeous neo-gothic lift that will take you right up to Chiado. Reward yourself with an ice-cream from Santini, Lisbon’s (Cascais, really) legendary ice-cream maker, and then explore one of the capital’s most fashionable neighbourhoods. Chiado was the intellectual hub of turn-of-the-century Lisbon, with the city’s most prominent writers, poets and lawyers meeting here regularly to discuss the what-ifs of life. 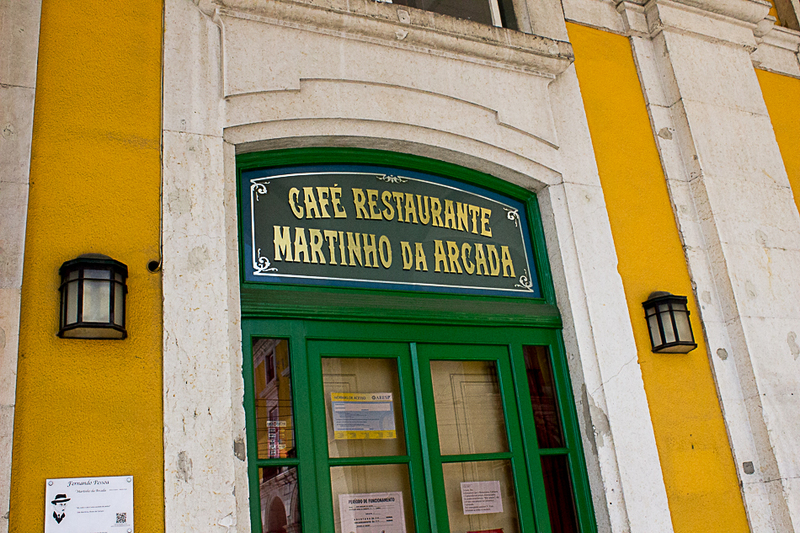 You can see a statue of Portugal’s most famous poet, Fernando Pessoa, outside the iconic Brasileira Café. If you’d like, have a coffee there, but eat at Tartine, a nearby bakery full of beautiful cakes and drinks. The neighbouring Bairro Alto district is traditionally a night-time hotspot, but is full of character i the daytime and worth a visit. 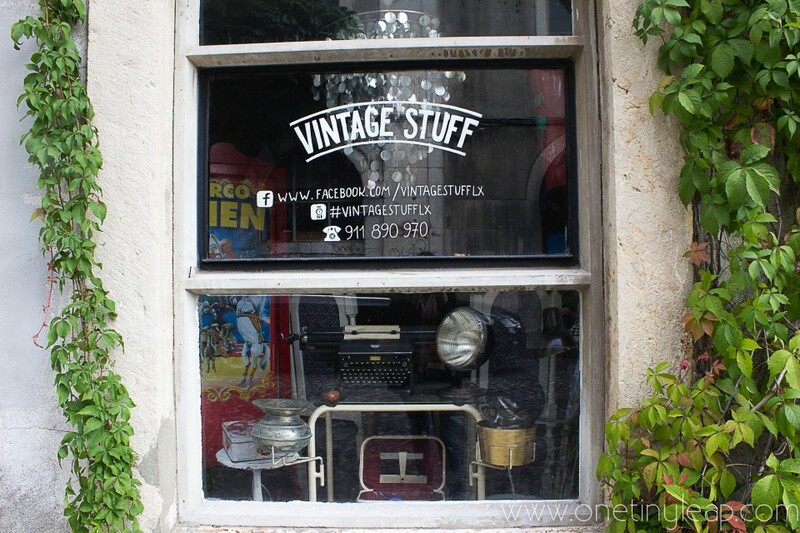 After browsing Chiado’s beautiful shops, and Bairro Alto’s grungy streets, keep walking towards Principe Real, one of Lisbon’s most hip and upscale neighbourhoods. 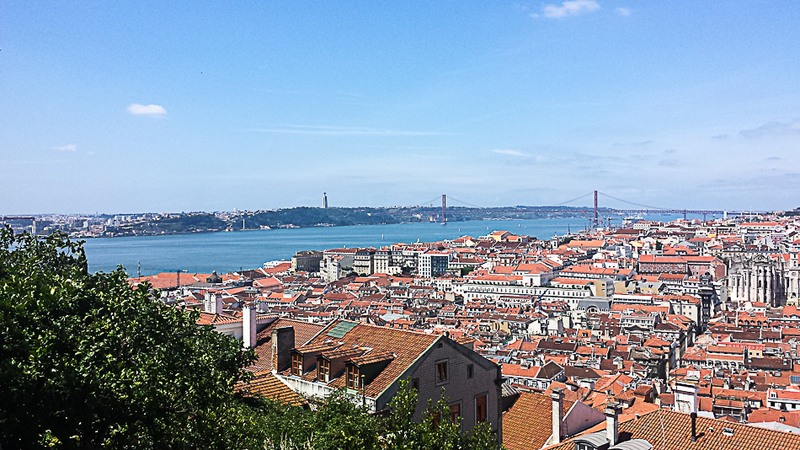 Stop at the Miradouro de Sao Pedro de Alcantara (below) for some of the best panoramas over the city. In Principe Real you’ll find stunning architecture, lots of independent shops, inviting cafés and a lovely park. This is also where the Natural History Museum is found, and the Lisbon’s Botanical Garden (I love it there, it’s a great place to relax and escape the city’s noise, although the paths are steep). Principe Real, Bairro Alto and Chiado are all great places to eat out, and have a fantastic evening vibe. If you’re wanting to see the city by night, then Bairro Alto and Cais do Sodré are unquestionably the places to be. My recommendations? Have a delicious cocktail at o Bom, Mau e o Vilao (the Good, the Bad and the Ugly), visit a former brothel now renovated into one of Lisbon’s coolest bars at Pensao do Amor, and listen to Fado (with a post-midnight tapa) at the modern “Povo” in Rua Cor de Rosa (the Pink Street). If clubbing is your thing, you have many nightspots to choose from, but be warned that most places don’t even start to get going until the early hours of morning. A 6am finish is pretty standard. Catch a taxi and collapse into bed. Assuming you didn’t overdo it last night, then aim for another early start to fit as much in as you can. There’s so much to see in Lisbon. Maybe try a different cafe today, or a different breakfast pastry? Why not try a Pao de Deus, a delicious brioche bread with a coconut top? Have it filled with ham and cheese (misto) or just butter (manteiga). Make your way to the gorgeous Jardim da Estrela (tram 28 stops here) and visit one of the city’s most beloved parks and the nearby church (the Basilica da Estrela). When in Lisbon you can often find us in Estrela on a weekend. From here, you can walk up to Campo de Ourique for a spot of (non-touristy) shopping with many interesting independent boutiques, and a great meal in one of the neighbourhood’s wonderful cafés and restaurants. To avoid the queues in Belém for the famous Pastel de Nata, try one at the local Pastelaria Aloma – they are award-winning and I personally think they taste better than the ones in Belém. 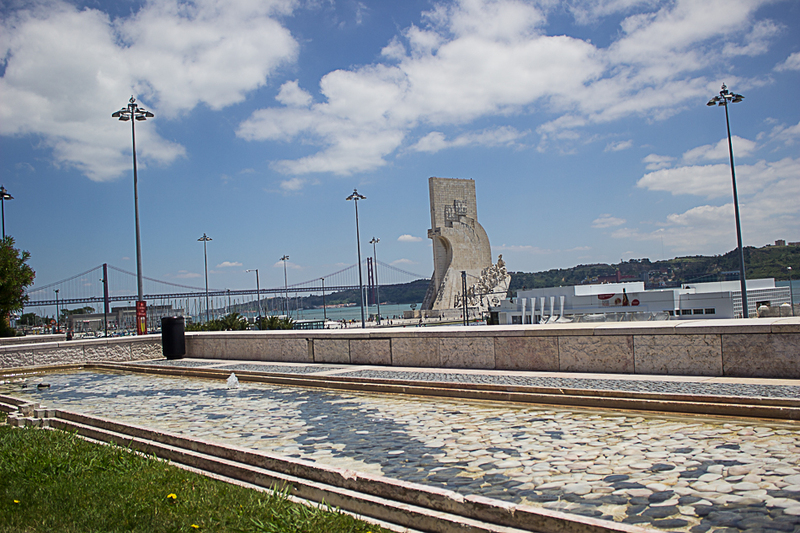 If you fancy a spot of lunch here, I can’t recommend the burger kiosk at the Jardim da Parada enough – get yourself a juicy burger and an Imperial while you people watch. 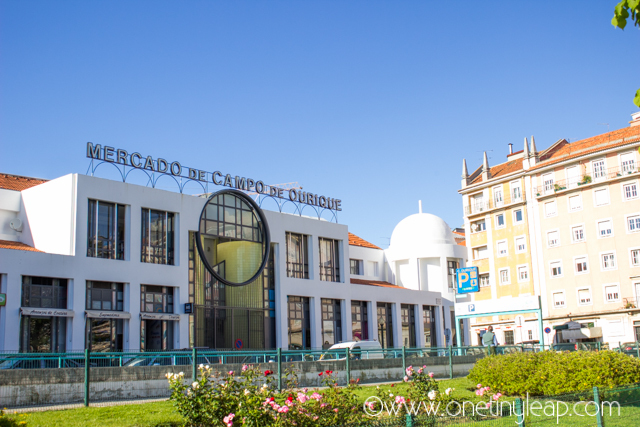 If you fancy something different, then pop to the recently-renovated Mercado de Campo de Ourique , two minutes walk – a gourmet hot-spot with a wide choice of eateries. From Campo de Ourique, catch a taxi over to LX Factory, formerly a derelict warehouse area that has been rejuvenated by stacks of independent cafés, start-up businesses and cool shops. 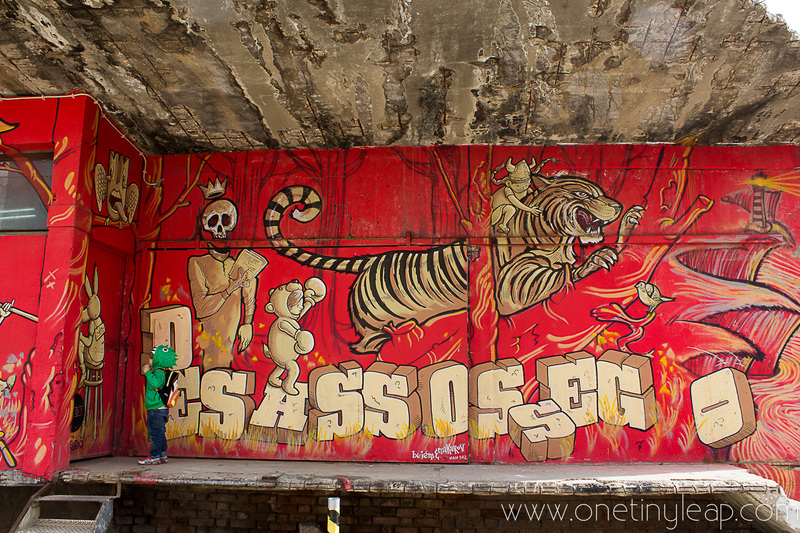 A must-visit if you like to roam hip urban environments. If not, feel free to skip ahead! From LX Factory (Calvário) take tram 15 (new, modern) to Belem, and exit at the Palácio de Belém stop, to explore a historic area that includes the Monastery of Jerónimos, the beautifully landscaped Gardens of Belém, the Cultural Centre (inc. Museum of Modern Art). If you have the extra time and like mature (slightly derelict) gardens, then a visit to the Ajuda Botanical Gardens is always one of my favourite spots, and the Museu dos Coches is a unique experience. Take one of the foot-bridges or the underpass (located right in front of the Discoveries Monument either side of the train tracks) to cross over to the waterfront, where you can have a leisurely stroll along the vibrant-blue River Tagus, the Padrão dos Descobrimentos (Discoveries Monument), pictured just above that features Portugal’s great explorers, the Tower of Belém, and the War Memorial. Well worth a stop is the café/bar A Margem, which offers unparalleled views over the Tagus and a chilled-out vibe, although a sometimes over-relaxed service. It’s particularly nice at sunset, but it does get busy so be prepared to wait for a table. TIP: You can hire bikes over by the Electricity Museum (now MAAT), two other activities I highly recommend. 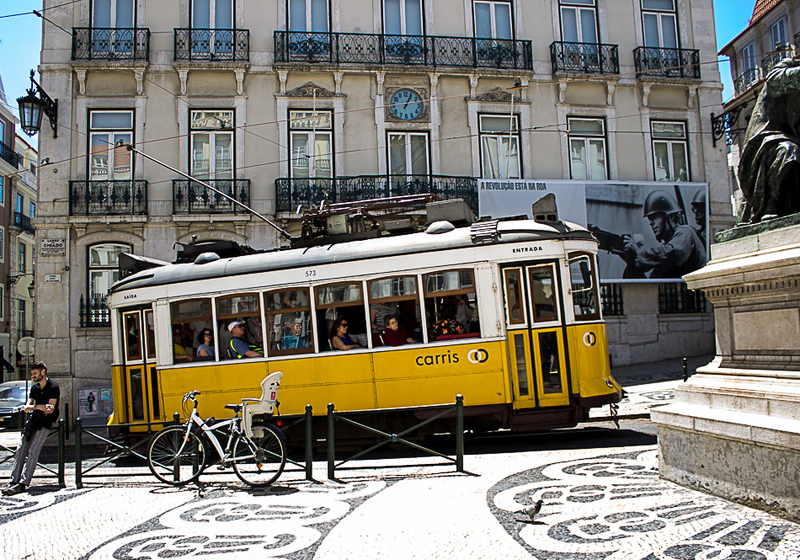 Get back on tram 15 and make your way towards Cais do Sodré. 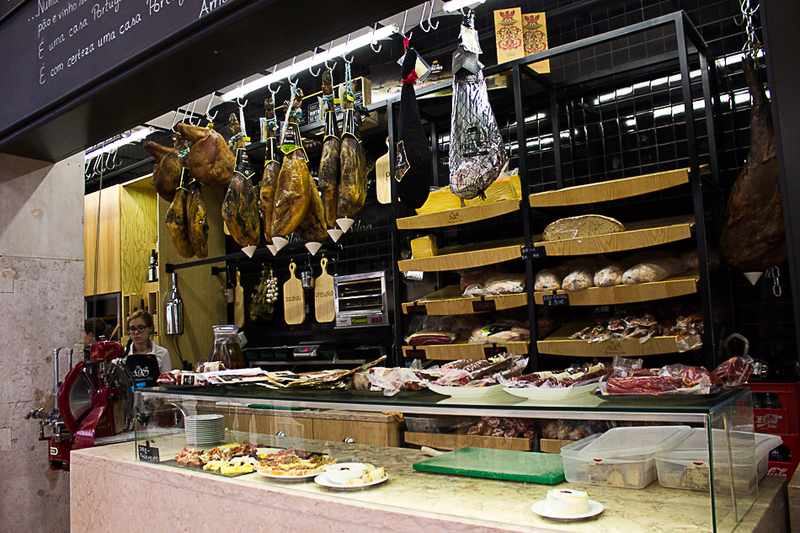 Exit at Mercado da Ribeira, and go visit the newest and biggest city market. Bursting with smaller (and budget-friendly) versions of high-end restaurants and displays from auteur Portuguese chefs, this is a great spot to grab a bunch of small plates, open a bottle of wine and take in the city’s vibrant atmosphere and flavoursome gastronomy. If you don’t fancy a big night out again, then Lisbon has lots of great rooftop bars where you can have a relaxed drink overlooking the river, including Portas do Sol in Alfama, Le Chat near Janelas Verdes and 38º 41′ in Belélm (at the Altis Hotel). If you have any extra days, then I recommend a trip to Cascais and/or Sintra, or hiring a bike at the marina in Cascais and riding over to my favourite beach: Guincho. Como está? – how are you? Quanto custa? – how much does it cost? 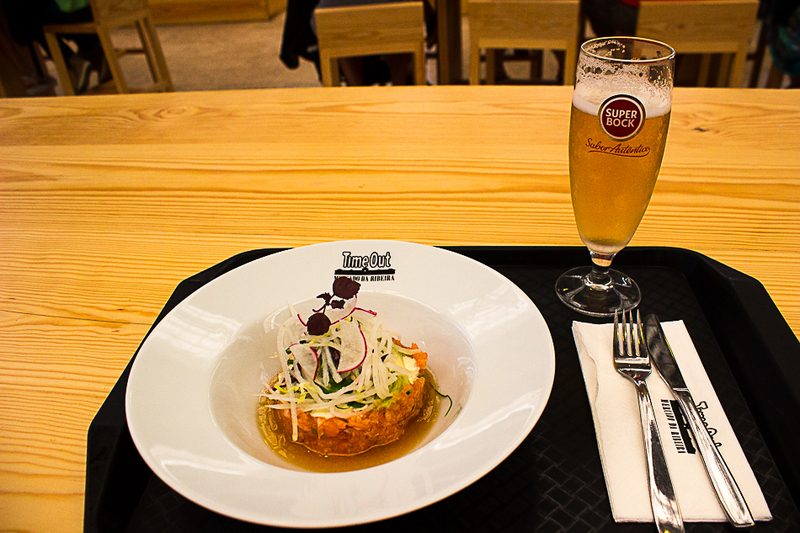 Sagres or Super Bock: Portugal’s two best beers. Find out which one you prefer (it will be Super Bock), and then order it with confidence. Galao: shot of espresso with lots of milk (like a latte without the foam). Desculpe, onde fica (place)? : excuse me, where is….? Have any questions about Lisbon? Just get in touch and I’ll do my best to get back to you asap.